Brrr, it was a bit chilly today. A fresh and strong head wind was with us all the way. But it was a lovely walking day. I stopped off at the church in the next village, less than a kilometre along the road, to see the carving that has special significance as the oldest surviving statue of St James, dating from 1100. And then in no time at all I was walking through farm and woodland with small plots alongside the Rio Tera. It was very pretty. There was a stretch when the track widened to the familiar gravel road when we were in the vicinity of some earth works and a quarry, but we were soon alongside the river again, winding through plantations of tall trees. 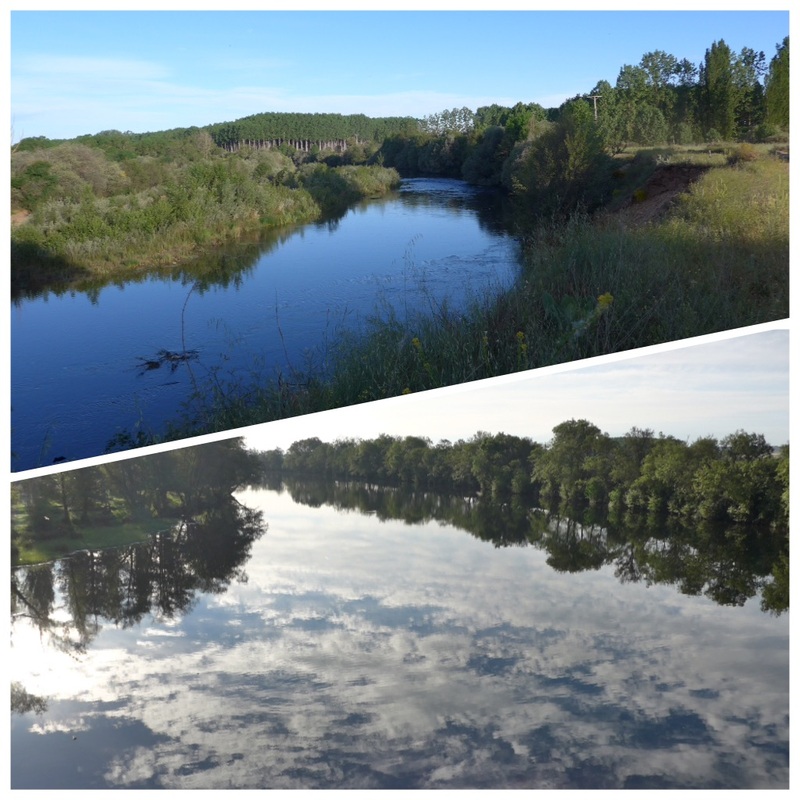 There is a lot of water in this area which makes a nice change – the river is very wide and I took some nice photos of the sunrise and clouds reflected in the water. After a couple of hours Paul had caught up with me and we walked several km’s beside a canal before stopping at 15 km for a hot drink. I saw some lovely examples of the adobe constructed buildings that had definitely stood the test of time. I presume they no longer build in this material and I should think these are quite old but I guess they have been maintained. The villages today have been a bit prettier than those we have passed through recently, which are mostly quite unremarkable, bordering on being rather run down and lacking character. But today there were more stone buildings, although mostly in ruins. I don’t suppose the locals appreciate them, but they give the place such charm. We then found a beautiful path that apparently lots of people miss. Luckily my guide had mentioned it and so I was looking out for it. There is a huge dam that we had to walk towards along a very narrow and overgrown track – it was quite an adventure and I had to bend low under overhanging branches to avoid getting my backpack caught up, and use my sticks to push away the shrubs that were growing over the path. 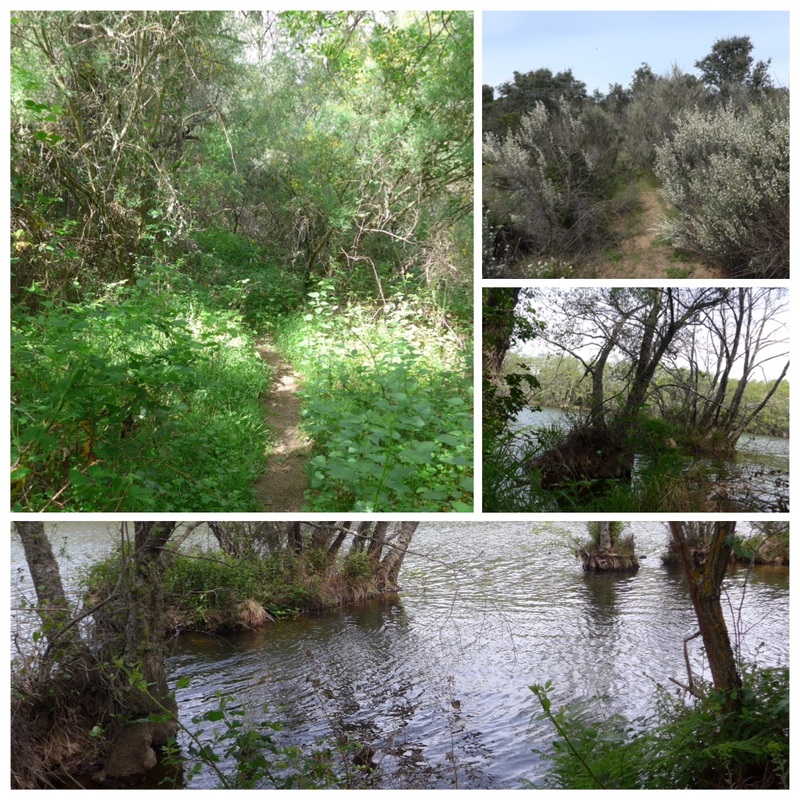 We went uphill and down, sometimes so close to the river that I could have splashed my hands in it and the scenery was beautiful, with rock roses, white and yellow broom, wild peonies, lavender, campanula and many others, all the time passing oak trees that were completely covered in lichen. I imagined I was walking through an enchanted wood. 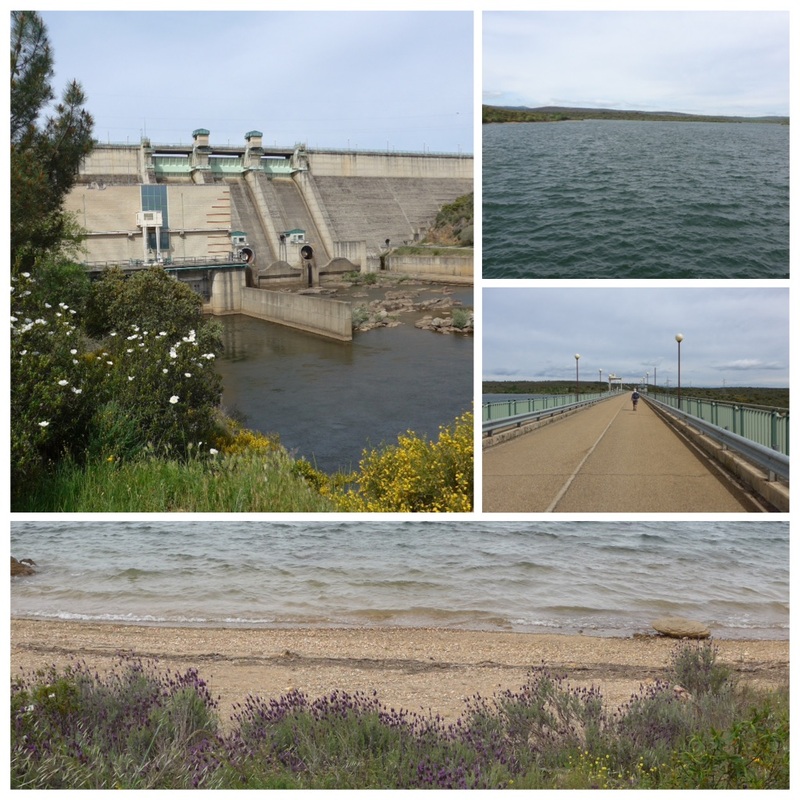 And then we reached the foot of the dam and commenced a climb up along a service road that eventually led us across the top of the dam and I could see that the level of the water on the other side was very high and very choppy in the strong wind. 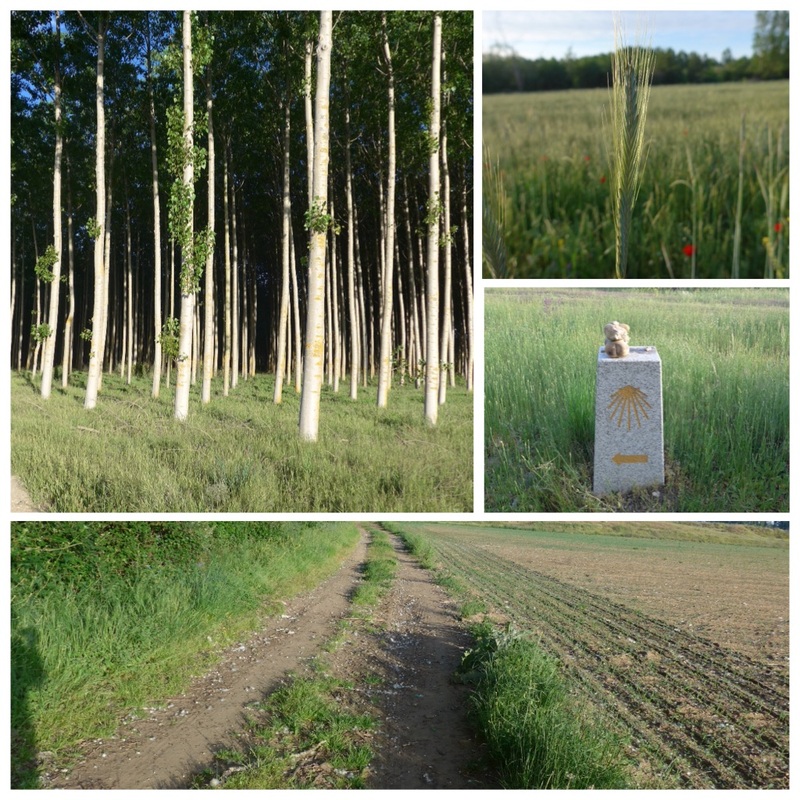 We were then walking along an agricultural road with the same plants surrounding us and the possibility to walk a few metres off the road to reach some beaches along the edge of the lake. It was a bit too cold for a dip, but I bet many pilgrims take to the water when it is warmer. 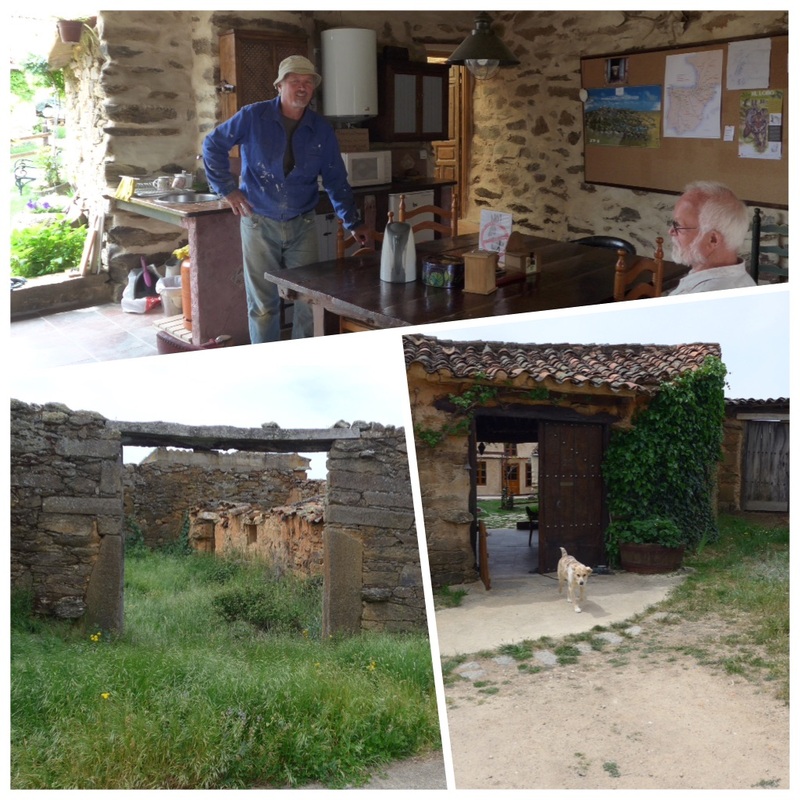 We came across a small donativo albergue in the tiny village of Villar de Farfón. It is run by a South African couple who also offer passing pilgrims refreshment, so of course we stopped for a chat and a coffee. Apparently when they moved into the village with their two daughters they doubled the population from four to eight. It looked to be a lovely place to stay, but preferably in the warm weather as I suspect it could be a bit chilly at other times. It was then just another hour or so until we reached our destination of Rionegro where we are staying in a magnificent new albergue with two floors and 32 places, kitchen, washing machine and dryer. Really recommended at 7€. Today I have met up with Jesus and Mary who I first encountered on day 19 and saw on and off for a week or so. It was nice to catch up after such a long while and they are staying at the Albergue, along with Alke and Patrick, a Korean/Spanish couple who were there last night, and a youngish man of unknown nationality (just discovered he is Spanish and has started his camino today). And we are eating in a gastronomic haven opposite the Albergue that is very highly recommended by a French couple I bumped into earlier and also raved about by Jesus and Mary. So our expectations are high. And all for the price of a 10€ menu. And as we have to wait a while whilst the supplies arrive we have been given a tuna mousse aperitif. I shall report back tomorrow. 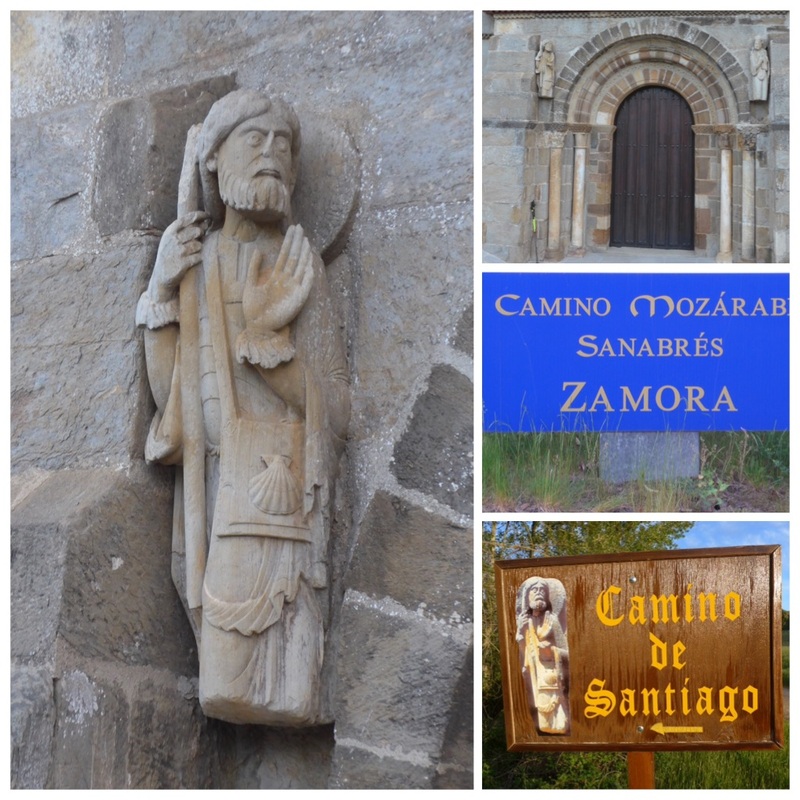 I got a bit excited yesterday when I thought I would be arriving in Santiago at the same time as Super George and we could then walk together to Finisterre, and finish what we began so long ago. But then today I realised that I had forgotten to include five stages in my calculations, so that I will now meet with him when he returns to Santiago after walking to the coast for a reunion and farewell celebration. A great selection of photos, it sounded like a nice day. Enjoy dinner with your friends, Buen Camino! 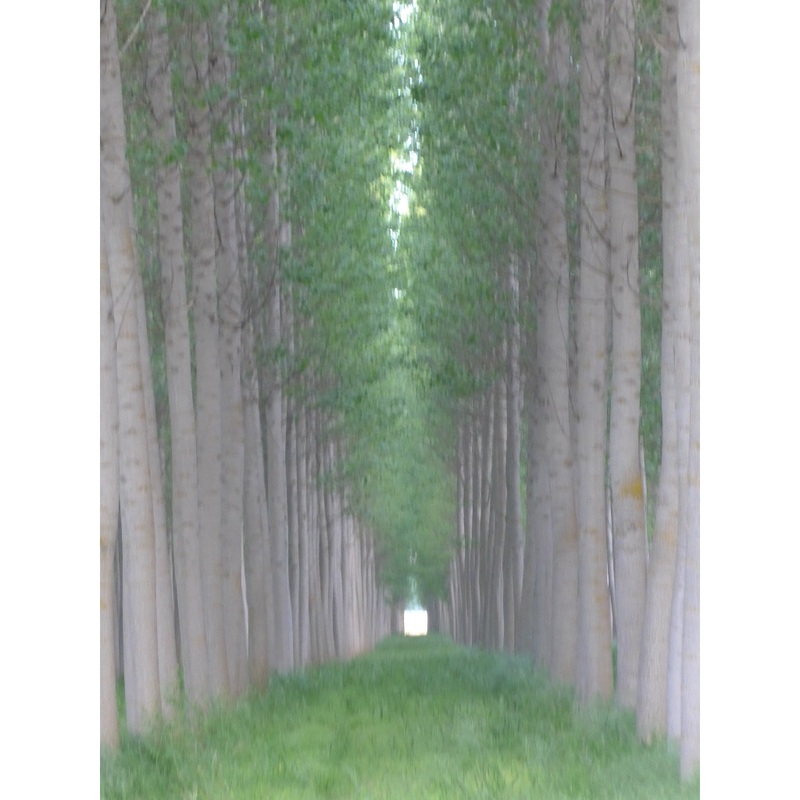 Fabulous photos, love the one with the tall trees I want to walk through them! Could have done with your cool breeze today it was 34.5 here!!! As every day, very lovely pictures. What a delightful stage this was.the scenery was beautiful and the buildings quaint. How nice to stumble upon the friendly little albergue. Hi Maggie, strange to read about a ” chilly day” while we are having over 30 o C! Seems like you are doing very fine on your walk, enjoying every day and will do all in one go? 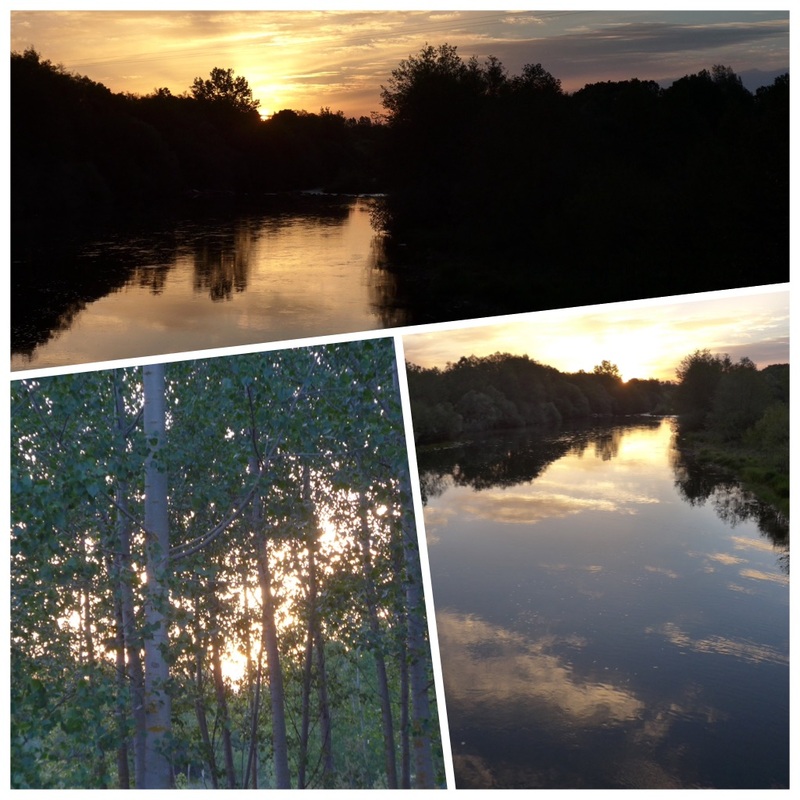 Thanks for sharing your trip with all of us through your blogs and pictures, makes me feel close to you….. Superb photos, so well composed and arranged. I intend to download photogrid to edit my pictures from Rome. Congrayulations on reaching the 1000 mark. Brilliant pictures, as usual. Really enjoying your journey. Maggie Like many of the above I’m in awe of you. The longer this journey goes on the more you seem to be enjoying it. Well done on reaching the 1,000 kms. You accommodation for tonight sounds lovely. Loved all your gorgeous photos today. We are getting ready for San Isidro in 36 degree heat wouldn’t mind swopping for all those cool forests for a while. Buen camino. Lovely description of your walk today Maggie. Beautiful pics. 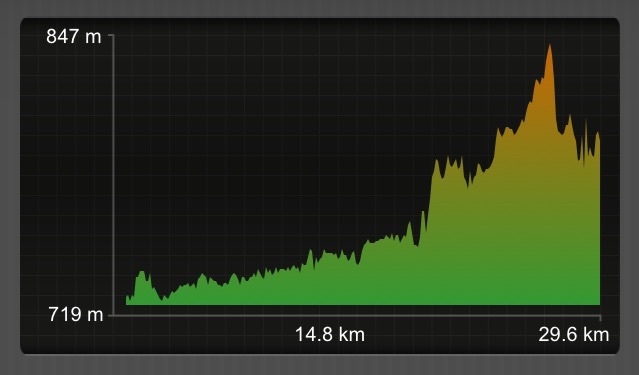 1000km plus! Very impressive Amiga. You are a pretty amazing gal! What a wonderful way to complete the round 1000. A truly adventurous and beautful day. A thousand congratulations. I think I’ll christen you the “eternal optimist” after reading that you had a headwind WITH you all the way. Being of a more grumpy nature I’m sure I’d have written that the headwind was AGAINST me! Hope you ate and slept well in the luxurious surroundings and the next days prove just as uplifting.